﻿ Got a wrist pain from riding on your VFR800Fi? The parts were design with strict tolerances to ensure sung fit with forks and handlebars. There is no need to change any lines or controls and they will allow turning the handlebars to the full lock positions. The design allows access to pre-load and the screw in cap ensures that the caps remain in place without the need of worrying whether these will pop out. The parts are made of Al 6061 alloy commonly used in bike frames and aircraft fittings. The alloy has excellent mechanical properties, high strength to weight ratio and high corrosion resistance. It has a good acceptance to applied coating therefore all our parts are finish with anodized surface i.e. coating of aluminium oxide. 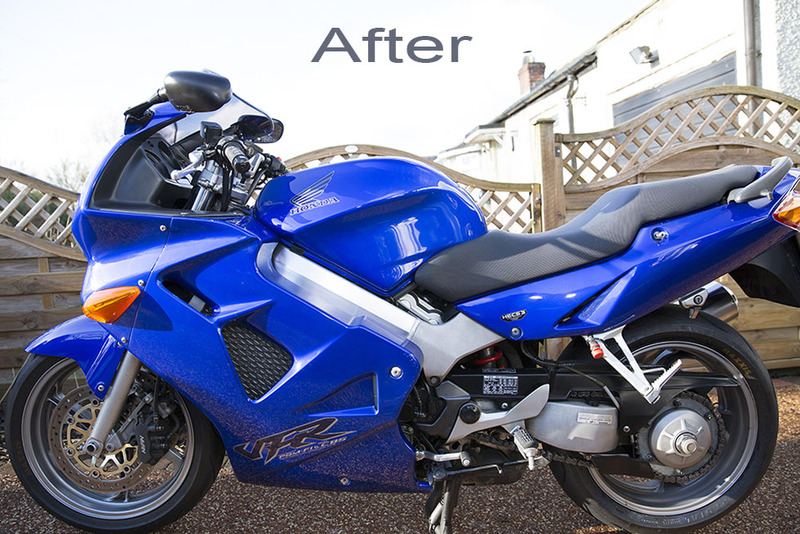 This further enhances corrosion, wear and abrasion resistance and makes the parts look great! They will raise your bars by approx 20mm and move them a little closer to you. It may not sound much but it makes a huge difference to your wrists and back giving you more optimised seating position. Could handlebar risers relieve your back and wrist pain? With long hours on the VFR your back becomes tired on keeping your body in position to keep the pressure off your wrists. This may results in very unpleasant sharp pain in the back. If you let your arms to rest on the handlebars your wrist then become strained. So it is most likely that you either suffer from back pain or wrist pain or both. Your neck often becomes strained too from keeping your head in position. You become irritated and in need of a break. We understand this well because as you may already know we are big fans of Honda VFR800 Fi model. We have been touring Europe on this bike for 3 weeks some years ago. This section describes our first serious sport touring adventure. At the time we never heard about handlebar risers. The bike is all-round purpose motorcycle with relatively comfortable sport touring position so why would you need any upgrades? Unfortunately on long journeys you will not avoid pains described above and handlebar risers would be the most effective option to combat that pain. 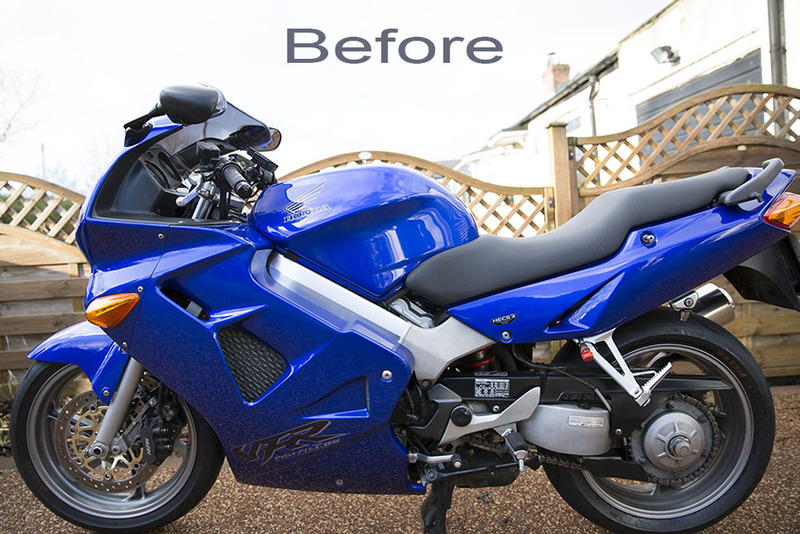 We have had them fitted on our beautiful blue VFR 800Fi. What a change this was! The bike is now more of a tourer so you can focus on riding rather than the pain. They do not look out of place and nicely match the materials of the handlebars. 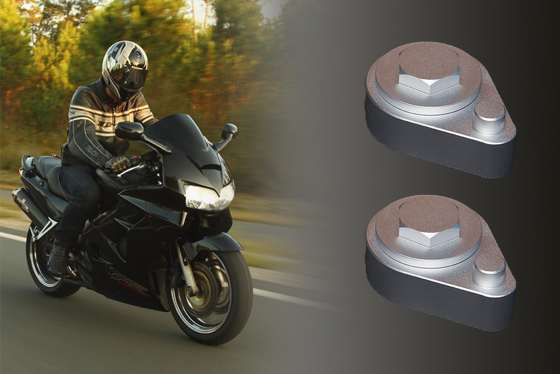 Note that they will fit Honda VFR750 and VFR800Fi models as these have the 41mm diameter forks. 59% of VFR riders found the higher wind screen unnecessary with 91% agreeing that the bike looks better with its original. 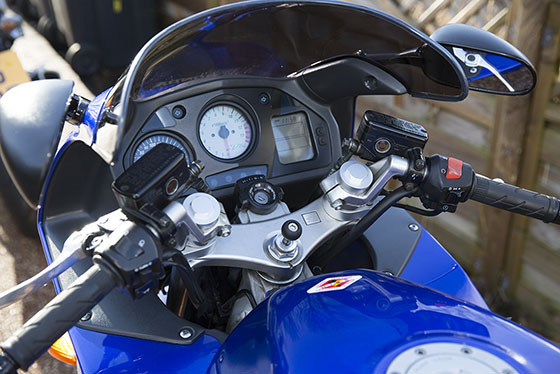 78% of VFR riders found handlebar risers essential for the optimum sitting position. 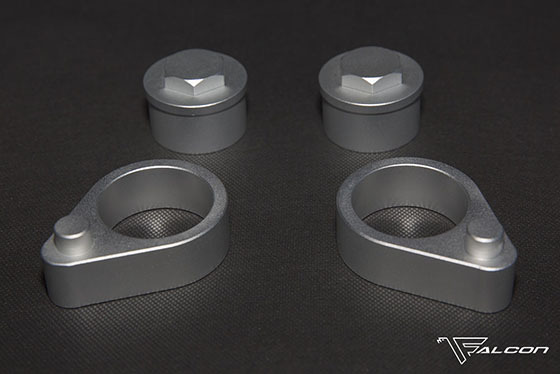 Enjoy more riding on your Honda VFR with these easily installed handlebar risers made in UK. Made of Al6061 alloy used in aircraft fittings! Anodized for great look and scratch resistance! 10 to 20 minutes fitting time!